学历/Education： 美国Louisiana大学硕士、SMU博士班 Louisiana University, MS Computer Science; Southern Methodist University, PhD Program. 研究机构Gartner给了大数据定义：大数据需要新处理模式才能具备更强决策力、洞察发现力、流程优化能力来适应海量、高增率化信息资产。 Gartner mentioned that big data is high-volume, high-velocity and/or high-variety information assets that demand cost-effective, innovative forms of information processing that enable enhanced insight, decision making, and process automation. 东方国信工业互联网平台Cloudiip，结合了云应用、物联网、大数据技术，充分实现了两化融合的精神，让工业人士能够免编程的上手及自主的在Cloudiip上开发工业App，与国外工业互联网平台提供商C3IOT及UPTAKE提到的概念不谋而合。透过此次会议，刘邦新将介绍Cloudiip里的两化融合的想法及实践。 BONC’s industrial internet platform, Cloudiip, combines cloud application, IoT, and big data technologies. It fully realizes the spirit of the integration between the industrial and information technologies (IT2), let the industrialists freely develop the industrial App on Cloudiip without programming, and coincide with the concepts mentioned by foreign industrial internet platform providers C3IOT and UPTAKE. 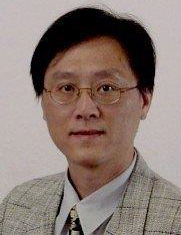 Jonathan Liou will introduce the ideas and practices of the integration of industrial and information technologies in Cloudiip.